To view the programme in greater detail please click on each day below. Please note that this is a skeleton programme not the Final Programme. BMUS are pleased to bring the second Translational Study Day to this year's annual scientific meeting. Delegates booking to attend all 3 days or Day 2 at Ultrasound 2016 will have complimentary access to this Study Day; to attend please register under the 'Register for Session' options on Page 4 of the booking form. Alternatively should you wish to attend only this Study Day a charge of £50 is applicable; to book please register on Page 3, Step 3 of the booking form. Please note : Delegates attending this Study Day will have access to the Ultrasound 2016 Technical Exhibition, but will not be able to enter any of the Ultrasound 2016 education sessions or practical training. 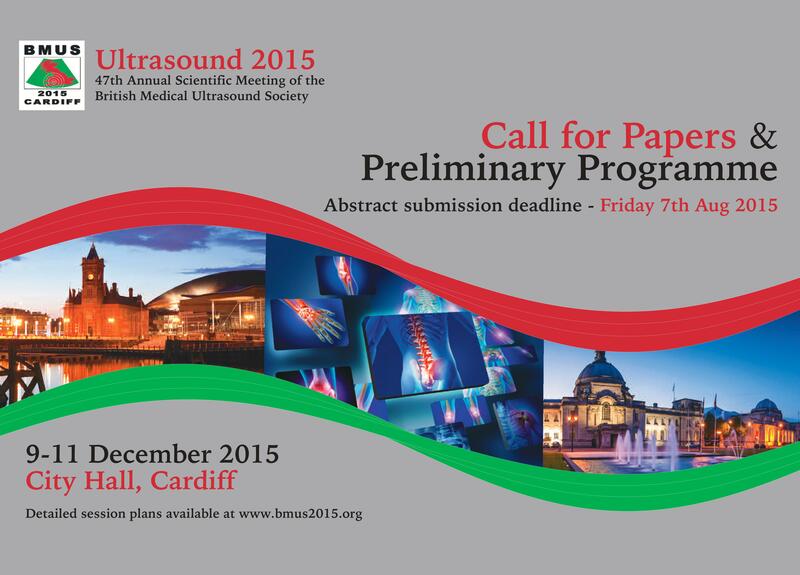 BMUS are delighted to welcome back the 'Therapy in Ultrasound Group' (THUGS) Meeting for a second year. Delegates booking to attend all 3 days or Day 3 at Ultrasound 2016 have complimentary access to this educational meeting; to register to attend please register under the 'Register for Session' options on Page 4 of the booking form. Alternatively should you wish to attend only the THUGS meeting a charge of £25 is applicable; to book please register on Page 3, Step 3 of the booking form. Please note : Delegates attending this meeting will have access to the Ultrasound 2016 Technical Exhibition, but will not be able to enter any of the Ultrasound 2016 education sessions or practical training.